Having enough storage space on your device – be it a smartphone or computer, is a blessing. For many users, storage space holds extreme importance. When they know they have sufficient storage space on their computer, they can install various applications and games, save songs, download movies, store pictures, and videos on any hard disk they want to. The process of storing files on your computer is so quick that often the system skips utilizing certain sectors of memory inside the computer. These sectors occupy an amount of memory space. When the lost memory space is not utilized, you end up using a lot of memory for no reason. As a result, you start thinking that your files have actually taken up all that empty space. 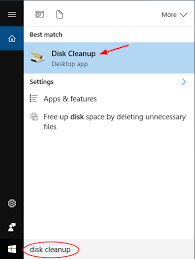 In this post, we will be discussing two ways in which you can recover and utilize the wasted sectors of memory on Windows – cleaning your computer disk that contains junk files (Disk Cleanup) and reassigning all the memory to proper sectors on your hard disk (Defragmentation). Let’s find out how you can about these two ways. Cleaning the junk files is the fastest method to clear up memory space on your Windows than the second one. With the help of this method, you can recover some amount of space and also speed up your computer. Basically, junk files are a combination of various files stored in your computer including Windows Update files, installation files, and temporary cache memory coming from web browsers and system processes. Once you get rid of these junk files, your computer’s speed will improve and you’ll get some free storage space to store more files in it. Let’s learn how you can clean the junk files. Place the mouse cursor on the Cortana search, type ‘Disk Cleanup’ and then run it. 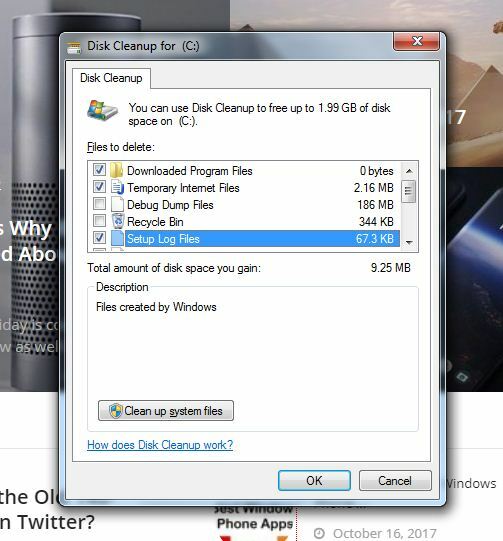 This cleanup tool by the Windows acts like the Android’s cache cleaning up. With the help of this tool, you can delete the files that are temporarily stored on your computer, especially the ones that are taking up a lot of space. When the Disk Cleanup’ is opened, you will be asked to select the drive you want to target for cleaning. From the drop-down menu, you can select the drives you want to target. We would suggest you start with your primary hard disk partition first especially C and D hard drives. Once you’ve selected the drive, you can view the amount of space you can clear up and which particular folders have taken up the most memory on your computer. The next step entails you to select all the folders and then hit the ‘Ok’ button. This action will delete all your temporary saved files from your computer. Similarly, you can also repeat the same steps for all the other drives. The second quick method to clear up the memory space on your computer is defragmentation. Unlike the Disk Cleanup tool, the Disk Defragmenter does not delete the unnecessary files from your computer. In fact, it works in a rather interesting way. It reassigns all the files to occupy the unutilized space of your computer. The sectors of memory which remain unutilized are also brought into use to store some files and make room for others. The Disk Defragmenter can be easily compared to a bookshelf where several books are placed together but at different positions with irregular gaps. To make the bookshelf more organized, you will be required to fill the gaps by shifting the position of the books and making more room for the new books. Defragmentation also works in the same way. By reassigning or shifting the large amounts of data to different drives, it creates more space for the new files, hence clearing up memory space on your computer. It’s really simple to use the Disk Defragmenter. 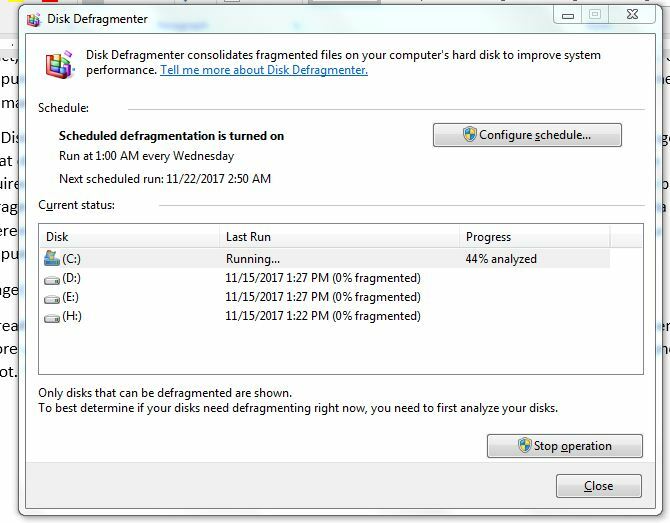 Open Cortana search bar and type ‘Disk Defragmenter.’ Before you begin the defragmentation process, you need to determine if your disk needs defragmenting or not. This will be determined by clicking on ‘Analyze disk’. 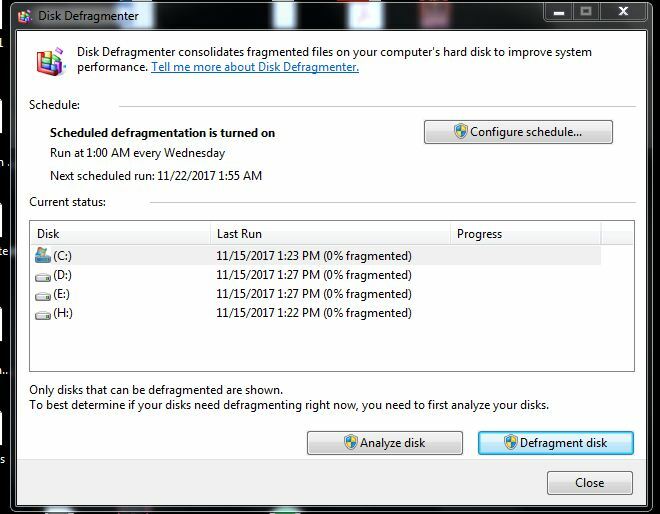 Once all the disks are analyzed, you can begin the defragmenting.